In September and October MIFA’s Creative Cast of architect, construction manager, theater consultants and experts payed visits to three extraordinary working theaters like the Victory to see how they’ve addressed preservation and construction issues to successfully house a variety of acts, shows and ambitious programming. The Victory Theater in Holyoke seats 1600. The seats will be be refurbished as part of the renovation project which just received 13 million in bonds from the state on Monday, September 17, 2018. Holyoke’s Victory Theatre renovation project gets $13M infusion of state funds By Luis Fieldman, Monday, September 17, 2018, Daily Hampshire Gazette. A House earmark of $2 million in the $666 million economic development bill would go toward renovating the Victory Theater in Holyoke. Massachusetts House tacks $125 million in earmarks onto economic development bond bill – By Shira Schoenberg, The Republican/Masslive.com, July 11, 2018. Senator Don Humason, hosted a informational meeting at MIFA Victory Theatre in #Holyoke on Monday, October 30, 2017. Is the Victory Theatre haunted? Check out some interesting discoveries the Pioneer Valley Paranormal group found while investigating the historic Victory Theatre in #Holyoke! U.S. National Park Service Historic Preservation applications for the Victory Theatre has gone for review! 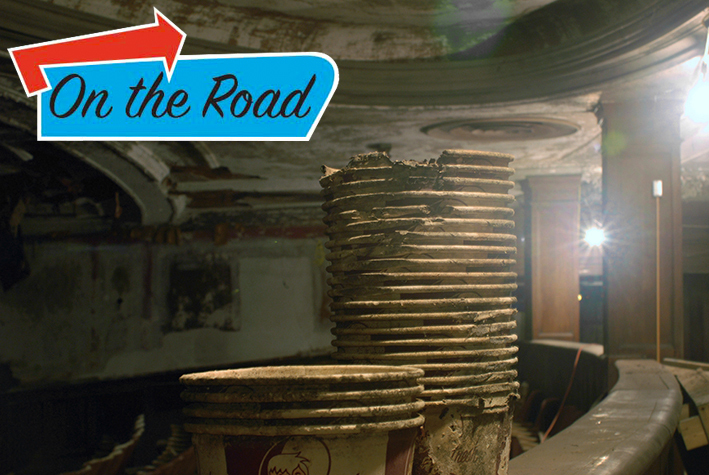 This review process is key to the restoration and reopening of the theater and qualifies the Victory Theatre Project for Federal Historic Tax Credits! We are pleased to announce that the MIFA Victory Theatre Project was awarded an additional $100,000.00 in Massachusetts Historic Rehabilitation Tax Credit (MHRTC) funds, putting us at a total of $4.3M! The Victory Theatre is a featured chapter in the new Abandoned America book “Abandoned America: Dismantling the Dream” by Matthew Christopher. Official Music Video by Lil Silva “Caught Up” feat. Cosima, starring The Victory Theatre & places around Holyoke as its backdrop! Lil Silva “Caught Up” feat. Cosima from Floyd Russ on Vimeo. Official Music Video for Caught Up feat. Cosima from JIMI EP from Good Years. Special Thanks to Rory Casey and the City of Holyoke, Glenn Shealey, MIFA Victory Theatre, Vitek Kruta, Lori Divine and Gateway City Arts, Handheld Films. Photographer David Manch of Silver Crescent Photography held a workshop at the Victory Theatre! Preview Massachusetts Magazine interview with Don Sanders, February 19, 2016, by James Heflin. Massachusetts Cultural Council (MCC) Executive Director Anita Walker toured the Victory with MIFA’s Don Sanders and Kathy McKean. This was Ms. Walker’s first visit to MIFA and the Victory! and has reapplied for this year’s round! Exterior work has begun on The Victory Theatre! The fire escapes were removed by The Axxion Company, LLC. Deteriorating from age, exposure to elements, disuse, and removing temptation for intruders, the fire escape from the back of the building and alleyway were taken down as well as the vine overgrowth and trees. MIFA Victory Theatre is happy to announce that we have received a $1,000 grant from the First Niagara Foundation to support the Victory Theatre Project! Dear Friends, We wanted to share with you updates and some of the exciting things MIFA has in store for the Victory Theatre! The doors may be closed, but there is a lot happening inside! Senator Donald F. Humason and Representative Aaron Vega hosted a Legislative Coffee Hour on Monday, March 16, 2015 at the MIFA Victory Theatre Office. Local and State officials were able to hear about the MIFA Victory Theatre Project plan and progress as well as ask question. 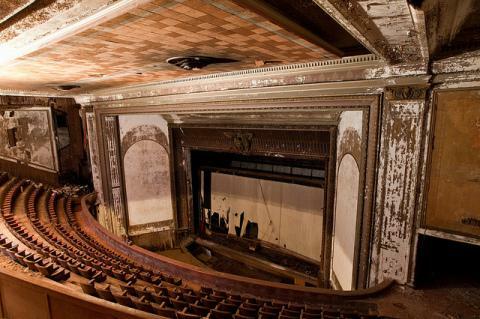 Richard Neal’s Photos: Tour of the Victory Theatre in Holyoke…. Filmed by Ides Of March Production. Shot at the Victory 2012!